Forget the fancy compound bow. 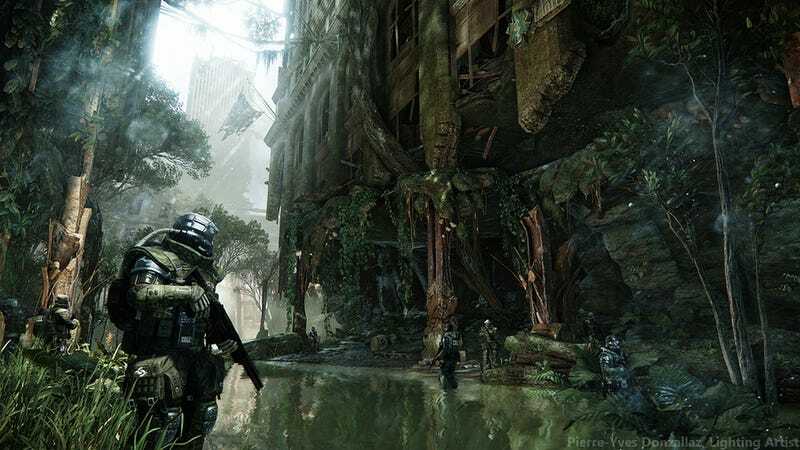 It looks like you're going to need weed-whackers to journey through the lush overgrowth that's choking New York City in Crysis 3. These screens—grabbed by Polygon from the personal site of lighting artist Pierre-Yves Donzallaz before they were taken down—show the Big Apple in a state of natural disaster. Gorgeous lighting effects and texture details have always been a Crytek signature and the dev studio's upcoming shooter looks like it's going to continue that tradition.